This spring, Health Promotion and Wellness will offer a wide selection of free activities for students. The activities are intended to appeal to a broad range of interests and will be available as part of three unique series. 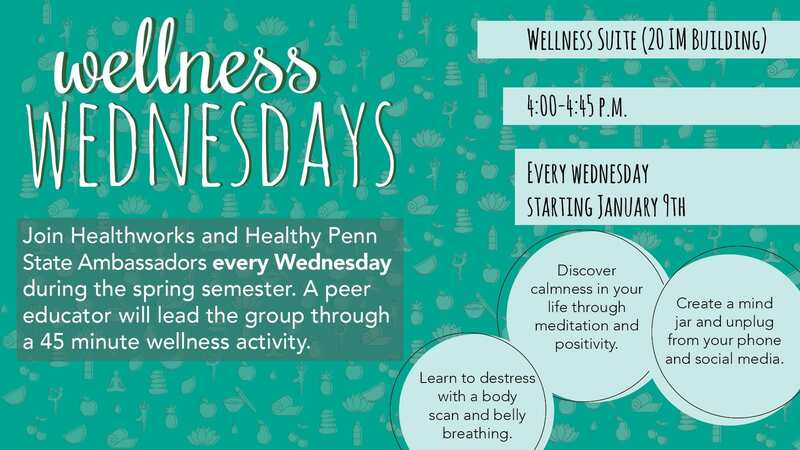 Wellness Wednesday activities will be held every Wednesday during the spring semester beginning Jan 9. 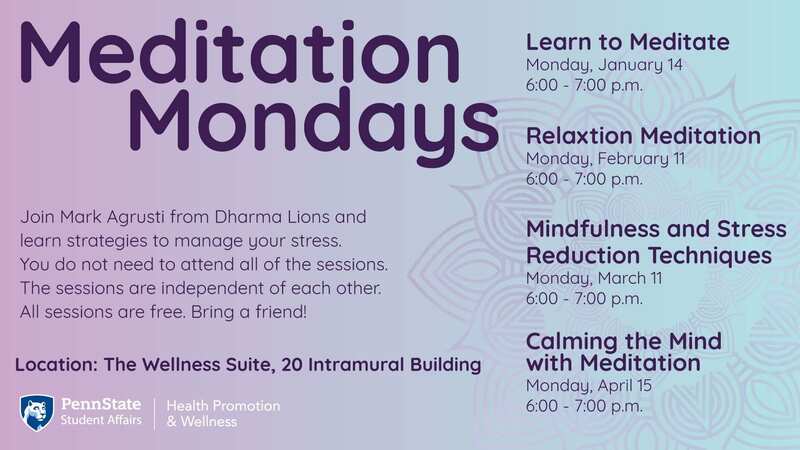 Students will gather in the HPW Wellness Suite, 20 Intramural Building. Advanced registration is not required to attend any wellness activities. All materials will be provided. 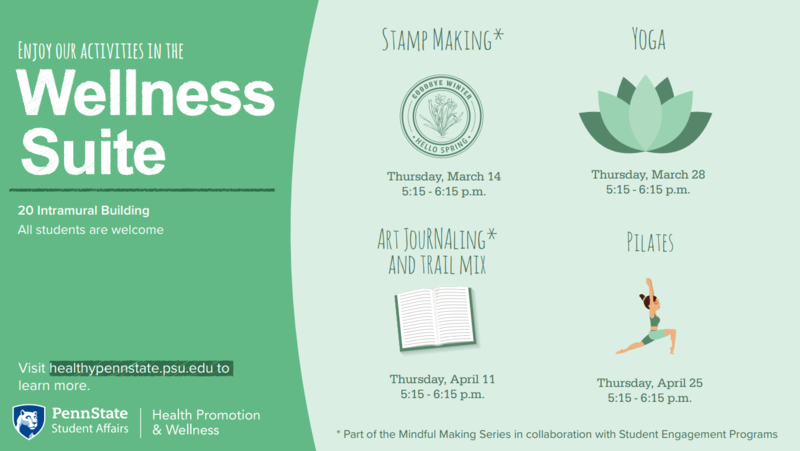 For more information about the wellness activity series, or any series being offered this spring by Health Promotion and Wellness, email promotinghealth@psu.edu.